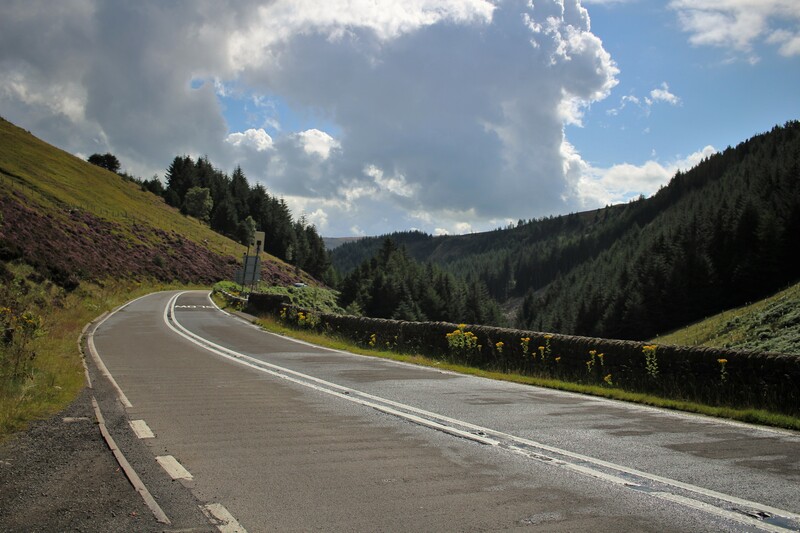 The infamous ‘Snake Pass,’ is a twisting road in the Derbyshire region of the Peak District, between Glossop and the Ladybower Reservoir and is a drive to love and hate; notorious for its frequent icy conditions in winter, it is often closed! Its many blind bends make it challenging enough at times to drive when the conditions are good. Yet when the sun is shining and it’s warm enough to roll the windows down, the Snake Pass turns into an incredibly scenic drive. 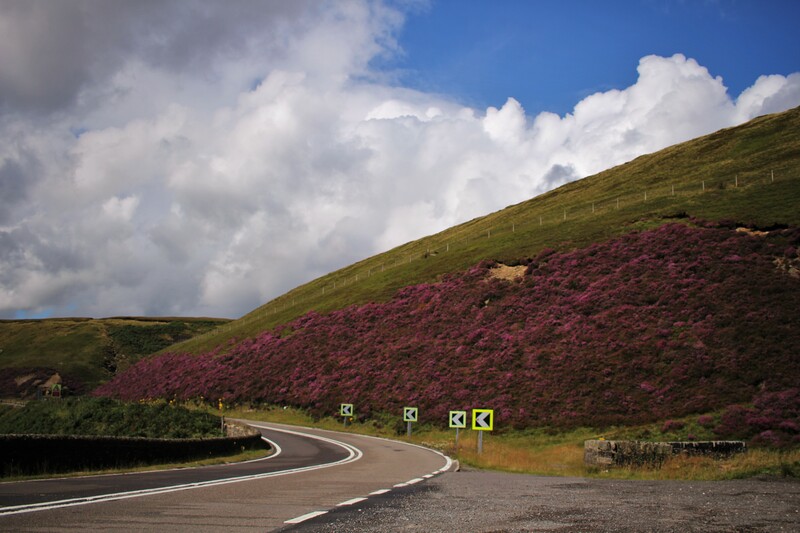 Driving into the moorland area, I noticed the purple heather was out in full bloom! It may sound like a small thing, but it was truely spectacular to behold. Admittedly, it was incredibly difficult to concentrate on the road because the views were so amazing! I had to pull over to take some photographs and absorb the natural beauty for a few minutes before I could jump back into the car, to only continue with “Oooh! Aaah! Awww it’s so pretty!” with each turn in the road opening up to more incredible scenery. Of all the times I have driven this route, this is the first time I have decided to pull over, so that is something! . I’d have loved to drive somewhere into the Peaks to go for a walk and see more of the purple wonder, but I didn’t have the time. I’d really recommend walking in the Peak District/Yorkshire moors, mid to late August, as this way, you can appreciate the purple heather adorn the landscape with its vivd colour.